Once you've collected the clues there are two ways to enter. The first is at the RootsTech conference itself. Pick up an entry card at the RootsMagic booth (#224) in the Exhibit Hall. Write the clue words on the back of the card and return it to the RootsMagic booth in the Exhibit Hall by Saturday, February 4 at 1:20 pm. At that time, we will hold the prize drawings. You must be present to win. We didn't want those who aren't able to attend RootsTech in person to feel left out so we're holding a second drawing and giving away more prizes including a second iPad 2. To enter this drawing, visit http://www.rootsmagic.com/treasure anytime between Thursday, February 2 and midnight MST on Wednesday, February 8, 2012. Fill out the online form to be entered into the second drawing. You may enter both drawings but one entry per person, per drawing. Winners will be picked at random and notified via e-mail by Friday, February 10, 2012. From time to time I talk to people about their so-called "brick wall" problem ancestors. My conversation usually ends with another blog post on the subject. I intentionally refer to the brick wall problems as "so-called" because I don't buy into the whole idea of a brick wall in research. A brick wall implies that there is something on the other side of the brick wall and that you can find out what is there only by going around, under, over or through the wall. Simply put, in 99.9% (or some other extremely high percentage of the cases) I reject the concept of some barrier to finding a person. Here is my line of reasoning. Either records exist or they do not exist. If the records do not exist then there is no "brick wall" there are simply no records. The trick is knowing when there are no records. Not too long ago I posted about burial permits. Those are records required by the cemetery, either from the cemetery itself or from the state or county, allowing a dead body to be buried. These records can be extremely valuable in finding people and their relatives. I suspect that this type of record is fairly common but only very infrequently used in genealogy. The records could be stored at the cemetery, with the city, county or even state records or be stashed in a basement or back room. They are closely related to the permits to transport a body used when the body of the person to be buried is located in a different state or county from the location of the cemetery. There are also records concerning the purchase of grave sites and the purchase of grave markers. Without going into even more detail, my experience tells me that nearly all of the brick wall situations are really lack of information about the availability of records. Another example, I found out recently that some of the local cemetery records are in the city library's special collections. The records do not appear in the city library catalog, but they are there none the less. The search for a relative should be turned into a search for records. Now, you are going to tell me that I am wrong. The court house burned or whatever and despite all of our combined family efforts we cannot find Uncle Fred's marriage record or whatever. The inability to find one classification of records is not, by definition, a brick wall. In my opinion, for what it is worth, the term "brick wall" if it has any value at all, should be reserved for those situation where records should exist to identify an individual but do not seem to exist. At the risk of being repetitious, what I am saying is that I believe only a very, very small number of these situations, where there are no records, actually exist. My examples of a relatively unknown and unused type of record is a case in point. There are whole classes of possible genealogically valuable records that are either not mentioned or hardly ever mentioned in the genealogical literature, including the heavy tomes of research helps. The anecdotal evidence to support my position is overwhelming. Almost every breaking down a brick wall story I have ever heard involves finding a missing or unknown record. The key here is that the unknown source was there all along. What was missing was the knowledge of the existence of the source, not the source itself. In addition, many times when I tell a brick wall person where to find additional records, they aren't interested. In one recent case, a friend was trying to find a remote ancestor who was stationed at a Western U.S. fort in the 1800s. After doing some research, I found that the particular records in question were very likely in the National Archives. The National Archive's catalog listed the type of record needed during the years in question. But my friend didn't want to make the effort to look at the National Archive records that I specifically told him to search. He would much rather go on claiming that he had reached a brick wall. What if my friend searches the muster rolls and other military records and finds no evidence of his ancestor? One possibility is that the individual was never really in the military at all. He may have been fabricating a military past. What if he was in the Army but lied about where he was stationed? There are a lot more possibilities that simply giving up and claiming brick wall-hood. How do you really know that there are no more records? If you really do run out of places to look, you have done a lot more looking that I have seen anyone accomplish in my lifetime. Mortuary records - If you have buried someone, think about all the documents you had to fill out. A lot of these records have been preserved by the mortuaries even after the original establishment went out of business. I got a notice from RootsTech.org regarding recording my presentation at the RootsTech Conference. I wondered if the presenters were aware of the copyright implications of either having or not having a recording of their presentations? The key to this issue is the terminology used in copyright law which protects original works of authorship fixed in a tangible medium from which the expression can be reproduced. Translated into English, this means that a presentation at a conference is not in itself copyrightable unless it is recorded in some tangible reproducible form. So, if I stand up and talk for fifty minutes my speech is not subject to copyright, but if it is recorded and could be replayed in any format or media, it is copyrighted. Because the United States is a signatory to the Berne Convention on international copyright, the law in the U.S. has changed so that no notice of copyright is necessary. So, I don't have to tell the attendees that what I say is or is not subject to copyright. All I have to do is get up and speak. The act of recording whether known or unknown to the audience, is what triggers copyright protection. So, think about this, if you attend a presentation and record it, unknown to the presenter, you have just made the presentation subject to copyright and your surreptitious copy violates the copyright law. Just in case you were wondering, all of the PowerPoint slides and any handout materials are automatically copyrighted. No notice of copyright protection is now required under U.S. law. Now, what if the RootsTech folks make a recording of my presentation? Who owns the copyright? Obviously, since I am the author/creator I have a copyright unless I assign it to RootsTech or someone else. If I were an employee or contractor of one of the companies at the Conference and I made a presentation on behalf of my employer, then the owner of the copyright would be determined by the employment agreement. Unless otherwise expressed, the work for hire doctrine would give the employer first claim to the copyright. In 2011 a bill was introduced in Hong Kong to protect presentations over electronic media. Around the world, the law concerning copyright changes almost daily so you simply cannot assume that the rule of the past will not change. If you would like to hear a little more on this changing subject, see a presentation by Harvard professor, Larry Lessig called "Larry Lessig on laws that choke creativity." The author is an attorney licensed to practice law in the State of Arizona. Nothing in this article should be construed to be legal advice on any particular case or controversy. The opinions expressed in this post are entirely those of the author. OK, my trip to Utah was uneventful. Long but uneventful. Although we drove the Chevrolet Silverado Pickup rather than the high mpg Toyota Prius we had one advantage, the Chevy is equipped to use Compressed Natural Gas (CNG) and guess what? CNG is about half or less the cost per gallon of regular gasoline. So even though the truck's mileage is lousy, we get gas (CNG) at less than half price so it is like having a car that get twice the mpg of the truck. Once you get out of the Arizona political cesspool which has actively discouraged CNG alternative fuel vehicles and where there are almost no public CNG locations, we could buy CNG all along the route from Las Vegas to Utah Valley thus cutting the cost of driving back to a reasonable amount. I also appreciate the fact that Utah has raised the legal speed limit to 80 mph in many long stretches in the long flat valleys of Central Utah. We look forward to seeing old Blogger friends and making some new ones. Please take time to say hello. Here is the rest of the story on the live Broadcasts from RootsTech. I guess the part about where to listen in should have been included with my last post on the subject. Sorry about that. A number of the comments made in response to my sort-of recent post on the Ethics and Historicity of Photo "Restoration" started me thinking about photography and genealogy in general. There is a saying that the camera never lies. Some pundits have added the comment to read, photographs never lie until you edit them. As genealogists are we seeking Truth (with a capital T) or is genealogy an art where we express our subjective thoughts and impose them on history? Is truth objective or subjective? Or both? What role do photographs have in understanding the truth of genealogy? Does it make a difference to my perception of historical truth if I can see photograph or a moving picture? 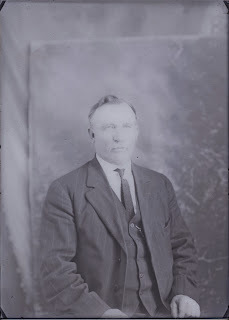 If I know that my great-grandfather's name was Henry Martin Tanner, what does it add to see a picture? This is Henry and his wife Eliza and three of his seventeen children. What do you know about Henry Tanner that you didn't know before looking at the picture? The picture, for all it is worth, is no substitute for the story, in words, of Henry's life. If you were doing genealogy and like the fairy tales, only had one wish, would you wish for a narrative biography or a photo? 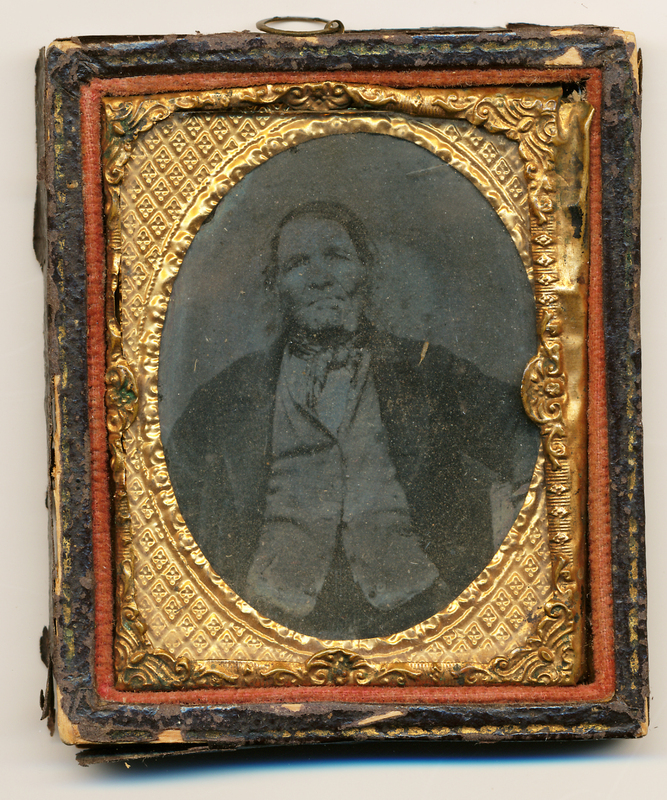 What if I had told you that the photo was of John Brown of Albuquerque, New Mexico? Would your perception of the photo change? What if I told you that the photo was of an unidentified family? What is the value of unidentified photos? What kind of effort would you make to identify a photo? Would it matter if you found the photo in your grandmother's diary as opposed to finding the photo in second-hand store? By the way, the photo really is Henry Martin Tanner and his wife Eliza Ellen Parkinson. But a photo will always be ancillary to sourced information about a family or individual. Why am I asking these questions? Hmm. The answer is pretty simple. We are so saturated with images of every kind, we take images for granted. Right where I am sitting writing, I can see dozens, perhaps hundreds of images. But this was not always true. As you can see from the photo of Henry and Eliza and children, this photo was not a casual, spur of the moment thing. It took time, preparation and effort and as a result, the photographer captured something of the soul of the family. There truly is something so unique about the photo that the trite saying, mere words cannot express, is literally true. Why, if I am a photographer, do I take pictures primarily of landscapes and buildings? Why don't I take pictures of people? (Before you get too worried, I really do take a lot of pictures of people, I just don't use them on the Internet. I am using the question in a rhetorical sense). If pictures are so important, what about all the people in your family who lived before the invention of photography? OK, let's get serious. Photography is a art with a large measure of technology and science. I may worry a lot about whether or not a photograph is good or bad, but when it comes to photos of my now long dead ancestors, the quality of the photograph is more of a bonus than a requirement. No matter how poorly taken, if the photograph of my great-grandmother is the only one I have, I will treasure it. But to what extent is photography merely an adjunct to genealogy? I think photography is valuable in itself as an art form and way to translate reality. It is really not much different that any other medium of expression, such as words or sculpture. But as genealogists and historians we view photos as something entirely different, they are not so much art but a confirmation of reality. No matter how much you have written about an individual or family, if you find a photograph, the person instantly becomes more tangible and the history comes alive. We got up for church on Sunday and found our car was dead to the world. The challenge was that we were on our way after church to Utah to the RootsTech Conference. So there was a change of plans. We had to get our truck ready to drive, rather than our gas sipping Prius. After some work cleaning truck windows and cleaning out the rear seat area, we loaded up and were on our way. We will have to deal with the dead Prius when we get back to Mesa. We got to St. George, Utah to stay with family, much later than we planned. Oh well. Life is full of surprises. We should be in Utah Valley today to stay with my daughter and her family and be ready to move on up to Salt Lake on Wednesday. Without any fanfare, New.FamilySearch.org showed up in a direct connection from FamilySearch.org. This may seem like a non-event but it is the first visible link between these two major websites. It has been understood for sometime that New.FamilySearch.org would be included in FamilySearch.org in the "Trees" menu at some point in time. Evidently, that point in time has arrived. If you are signed into FamillySearch.org and also able to access New.FamilySearch.org you can now look for an individual in FamilySearch.org and if that same individual is on New.FamilySearch.org there will be link to the individual. I am on my way to RootsTech and hope to have some time to do screen shots and show how this link works in the next day or so. I notices that there were several additions to the RootsTech 2012 Website. These include copies of each syllabus and a lot of other information. But it is now time for me to hit the dusty (or not so dusty, depending on the weather) road for Salt Lake City, Utah. It will take us a while to get there as we have a tendency to stop and visit along the way. Hopefully, I will get some time to sit and write. Privacy is back in the news with a ruling by the U.S. Supreme Court concerning the use of GPS devices attached to vehicles by the police without a search warrant. Whether we like it or not, as genealogists, just like the police, we are all in the privacy business. The case, if you are interested, is United States v. Jones. Beware, this is a pdf download. Anyway, the issues in that case was whether or not the Government’s attachment of the GPS device to the vehicle, and its use of that device to monitor the vehicle’s movements, constitutes a search under the Fourth Amendment. The Supreme Court held that it did and that attaching GPS device requires a court issued search warrant. The part of the ruling that has an effect beyond the narrow area of GPS tracking devices is found in the wording, "Our later cases have applied the analysis of Justice Harlan’s concurrence in that case,which said that a violation occurs when government officers violate a person’s “reasonable expectation of privacy,” id., at 360. See, e.g., Bond v. United States, 529 U. S. 334 (2000); California v. Ciraolo, 476 U. S. 207 (1986); Smith v. Maryland, 442 U. S. 735 (1979)." Admittedly, the case is couched in terms of the Fourth Amendment prohibition against unreasonable search and seizure, and is limited to government action, but the discussion in the media subsequent to the case pointed out that the issue could arise in the context of a Facebook account or Google Latitude. There are several other social networking applications that essentially broadcast a user's geographic position to the world. There is also a possible issue with GPS photographs, but that is likely a stretch. One day we were in Utah visiting relatives and one of the relatives unexpectedly hauled out a huge scrapbook of letters and photos of the family. I got my camera out of the car and set the book up at an angle on the front porch where there was sufficient light and had my wife turn the pages as I photocopied each page of the scrapbook. The pages were in plastic page protectors and were standard U.S. Letter size, 8 1/2 x 11. The pages were in a three-ring binder and I took two page spreads at a time. The scrapbook had almost 200 pages and I am going to guess that it took me, at most, ten minutes to copy the entire book. The image above is a page of the text at 400% in Photoshop. To put it short, the pages are entirely readable and usable. The photos in the scrapbook were mostly photocopies of original photos and so the quality did not matter. By being able to take high quality images on a moment's notice, I saved the aggravation of finding a nearby copy machine and the cost of the copies. Today, if I had needed to use my iPhone, I could have taken a photo of each page, spent a little more time and gotten similar copies. With a camera, I can easily take pictures as fast as someone can comfortably turn the pages. So what does this mean? It means that the whole concept of taking notes, transcribing texts and other tedious tasks are things of the past. With the exception of those few repositories that will not allow any type of reproduction of their collections, it is tremendously more effective to take photos of the pages rather than try to take notes. As you can see, that doesn't help much. Use good sense, don't copy an entire article or book. Try to be judicious in what you take as "notes." Do not use the images for any purpose other than your own private research and certainly do not use them for any further publication purpose unless they are clearly out of copyright. Last year at RootsTech 2011, I carried around the huge syllabus almost two inches thick. This year I have the RootsTech 2012 iPhone App (also for Android). I downloaded the App and found maps, schedules, blogs, news, a way to schedule which classes you want to attend, a photo gallery, a video gallery, a Twitter link and more. It is impressive and it is always nice to see your own name in print even if it is tiny little print on an iPhone. The App can be downloaded from the App Store or the Android Market and it is free. Good idea and a good substitute for the huge syllabus. I have started a series of photos of people I cannot identify from my collection. If I do one a week, I have enough photos to last for at least 191 years or so. Oh, well. I have to start somewhere. This is the second one in the series. The photo was likely taken around 1920. It could have been taken in St. Johns, Apache, Arizona or in another town in the area. It was taken by my great-grandmother, Margaret Godfrey Jarvis Overson with a large format view camera. It is what is referred to as a quarter plate glass negative. Who is he? The Burial Permits Office issues the official disposition, removal or transportation permit for any person who dies within City of Boston. The City of Boston includes Beacon Hill, Back Bay, North End, South End, West End, South Boston, East Boston, Allston, Brighton, Fenway, Mission Hill, Roxbury, Jamaica Plain, Mattapan, Dorchester, West Roxbury, Roslindale, Hyde Park, and Readville. Burial Permits are issued to Funeral Personnel, after presenting a completed and correct certificate of death. The date and circumstances of the death, i.e. suicide, still birth, accident, murdered with description etc. Is any of this information you might like to know about an ancestor? Looking in the FamilySearch.org Family History Library Catalog, I find 116 results for "burial permits." Interestingly, in the Ancestry.com collections, I find only one collection from Kansas of burials. In the case of the Arizona records, the records were not previously used by any researcher except the cemetery personnel. Except for the few people who worked at the cemetery location where the records are stored, no one from the State or City knew these old records existed. I asked about old records while visiting the cemetery and was told about them by a cemetery worker who was concerned about preserving the records. How did I gain access to the records? I simply asked to see them. They were stored in the bottom drawer of a filing cabinet. Don't worry, I have now made arrangements to have the records preserved. So why are they sad? I was stunned to see how many children, who died early in childhood, were buried in the cemetery. The cemetery is literally a graveyard of children. My best guess is more than half the burials were of children. I am certain that the record of their deaths exist in no other place. Period. Looking at the Family History Library Catalog entries, it is likely that these are fairly common records. In addition to the content of the originals, the link to the mortuary may produce even more records. Mortuary records are not uncommon, but are hardly ever consulted. Looking at the causes of death makes me thankful for antibiotics and modern medicine. The sadness comes from the realization that many of these children passed through this world without any other record of their existence. How many more of these records and others are locked up in cemetery offices, mortuaries, and other repositories around the world? I would guess millions upon millions. When are changes to a digitized copy of an original photograph both ethically and historically acceptable? I have had several comments with differing opinions. Here is a copy of an original scan of an old glass plate negative. The original scan was saved as an Adobe Digital Negative (no relation to the fact that it is a scan of a negative) or .dng. To "develop" the negative, I used Photoshop to "invert" the negative image. I also lightened the image and increased the contrast. All of these actions could be considered to be within the parameters of what was traditionally done in the dark room. What if I altered the photo to take out the woman standing on the right side? Would that be acceptable? What if this photo, rather than being a rare glass negative from the early 1900s was a digital image to begin with? If you look closely at the image, you can see several scratches and some dark black dots. These defects may have arisen in the storage of the negative or they may have been there from the time the photo was taken. What if I cleaned it up a bit and took out the scratches? All of this might be considered "acceptable" depending on how severe the changes were to the original. But in this case, the original is not much help in determining what the photographer had in mind. What makes me shudder is the trend in scrapbooking where the photos are cut to odd shapes with fancy cut borders. I always hope the family has another copy of the picture. I think that when you scan genealogically important photos, you should use the best technology available and make as few changes or edits to the originals as can be possible. If you are going to edit a photo, do not make the edits on an original scanned image, but on the copy of the original. If you feel it necessary to make editorial changes to a photo due to damage or loss of detail, I suggest making those as conservatively as possible. I realize that almost every statement I make can be debated by someone with a differing opinion. But what I do not care to see is people who think they better about what should be in the picture. If you want to make your own photos look old by adding sepia tones, or funny by adding special effects. Go ahead. Just remember that your descendants might like to see some nice conservative images of your family some day and might not appreciate special effects. 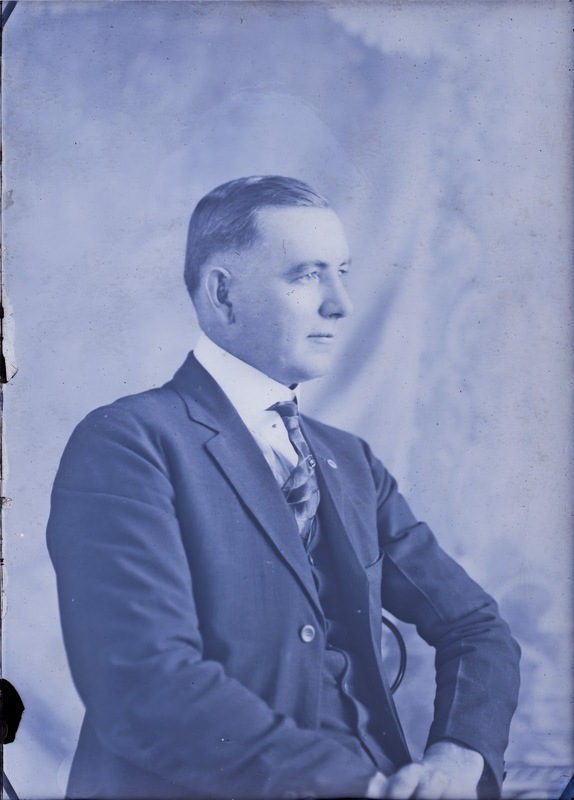 The Ethics and Historicity of Photo "Restoration"
Let's suppose I found a diary written by my Great-grandfather detailing life on the farm and including many details about his family life and his extended family? Would you consider that document to be a valuable genealogical resource? Let's further suppose that he was poorly educated and used many colloquial terms and some slang. His diary relates some stories about the family that were and still could be embarrassing to the family. Would you feel comfortable with me re-writing the diary and editing out all of the original language and changing the details of any currently unacceptable events? What if I destroyed the original in the process? If you would find my rewrite unacceptable, then why would you condone doing exactly the same thing to an original photograph? Why is it acceptable to edit and alter an original photograph to remove any details that we, from our present perspective, feel detract from our concept of the "original?" Although, there is not usually an issue with the destruction of the original, some photos continue to degrade and ultimately, the scanned image of a photo taken years ago may be the only record left. I just sat through two different presentations that discussed photo editing and photo editing software. Both were very, very well done and appropriate to the level of understanding of the audience. But photo editing is essentially destructive. There is only so much information in a photograph. What I mean by this statement is that what is displayed in the photo captures a certain finite amount of information present in the original. One simple way of understanding this concept is the fact that there is always a limit to the detail or resolution of any photographic representation. If I were to scan an original photograph, there is always a certain amount of noise (i.e. extraneous detail) that is added at the time of the scan. Additionally, only scanning at extremely high resolutions with specialized scanners really capture all of the detail of a photograph. There is a trade-off between scanning even more detail and exceeding the practical limits of photo preservation. But I am not talking about scanning and capturing the information of the original photo, I am talking about post-scanning manipulation of the photo. Once you have a scanned image, any editing of the image will cause a loss of information from the information present in the original. I mean ANY editing. Is that bad? Should we stop all editing? The simple answer is no, but we should always be aware of the trade-off. The original is a small, probably tin-type photograph. I scanned the original at 400 ppi, in color (obviously) and saved the resultant digitized image as a TIFF file. To insert the image in my blog post, I had to re-save the image as a JPEG. Aha! you guessed it. I have already lost information from the original scan which likely did not pick up all of the information from the original photograph. As you can tell from this scan, the original is not in the best condition to start with. So what is my first conclusion? NEVER MAKE ANY EDITING CHANGES (LIKE SAVING AS A JPEG) TO YOUR ORIGINAL SCANS! I would certainly not criticize those who teach photo editing, but they should at the very least make this the ironclad rule of photo editing. Stay tuned for part two of this discussion. We come to the close of another Family History Expo. Holly Hansen and her staff have done their usual great magic to bring us the best in genealogy presentations. It was great to meet some I had only talked to online and thanks to all those who read this blog and came up and talked to me. I had a great time presenting in the three different classes. I have to admit that presenting is a little bit more work than sitting there listening. Now we move on to the big conference in the frozen north, RootsTech.org in Salt Lake City, Utah. We did have a little bit of cooler weather here in Mesa and maybe we will be prepared for snow and/or freezing rain. If you come to RootsTech, say hello to me at the Bloggers area, the TechTips display, and the Wiki support display. I am also presenting on copyright law and genealogists. I recently acquired a couple of thousand more old photographs. As a result, I have a huge number of pictures only a very, very small number of which have the people identified. 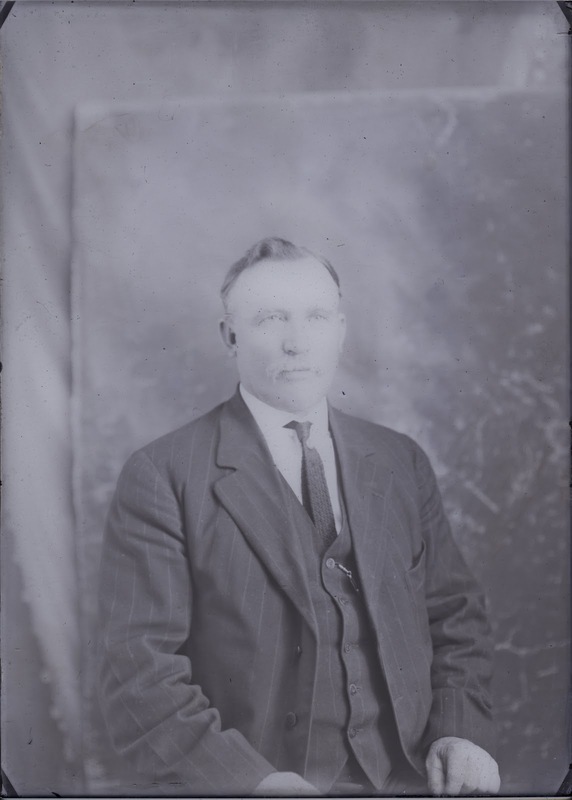 I decided that from time to time I would post some of these pictures to see if there are any descendants of these people who might recognize their relatives. Most of these photos come from my great-grandparents who lived primarily in Northeastern Arizona during the late 1800s and early 1900s. To the extent it is possible, I will try to give as much information about the photo as I know. Here is my first photo in this probably never ending series. This photo is a scan from a glass negative from my great-grandmother Margaret Godfrey Jarvis Overson who was the photographer. From the associated negatives, this photograph was probably taken around 1920 in St. Johns, Apache, Arizona. If you know this person or think you do, please let me know. What is left to digitize? Now, if you take this question seriously you have a problem with perception. Although digitization projects capture a lot of news space, the records left undigitized in repositories around the world is still overwhelmingly large. Let me give an example. The State of Washington has an online digital archive with 104,978,112 records with 34,736,265 searchable. Compare that to most or nearly all of the other state's online archive collections. It is evident that we still have a really, really long way to go before even half of the records in the world are digitized. Another example is do a search in WorldCat.org for some book or record and see if it has been digitized and is available in an ebook format. You might be surprised either way, if you haven't been keeping up with digitizing, you might be surprised at the number of items available online. On the other hand, you can readily see that even commonly available books have yet to be entirely digitized. The first lesson from this very cursory review of the state of digitization is that as genealogists we cannot expect to find all of the information we need for our family research online. The next lesson is one of patience. Many records now locked up in repositories, will be liberated online, but don't hold your breath. What are the largest repositories of online digital records? This is a very difficult question to answer since many of the larger online services do not provide information about the number of documents or files they have in their databases and even if some figures are available, the figures are often ambiguous because they refer to individuals, or records, or files, or documents, or whatever and there is no way to compare the figures from one repository to another. Here is a link to one interesting article called, "How Much Information Is There In the World? by Michael Lesk. It is likely that FamilySearch.org, with its millions of records going online every day, day after day, is my guess for having most images of original source documents. Ancestry.com certainly has a huge collection of resources, most of which are indexes without images of the original documents. There are large number of other large collections and the online content increases daily. Although the LOC has an active digitization program, they have a really long way to go before even a significant percentage of the collection is available in digitized format. The LOC has an extensive and rapidly growing online collection of digitized newspapers and many, many other documents, but the main book collection of the library has not yet been significantly digitized. The U.S. National Archives has only the barest beginnings of an online digital collection. 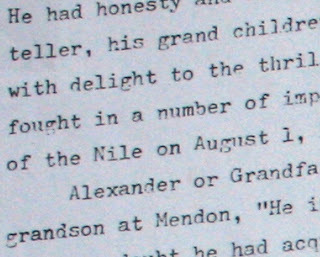 The NARA has been relying on third parties, such as the now defunct Footnote.com (now owned by Ancestry.com as Fold3.com) to digitize records. Here is a quote from the NARA website, "The National Archives web site has very few actual records online. The National Archives has a very large amount of records that are useful for genealogy, but most of these records are not online." (emphasis in original). It may seem a contradiction to mention FamilySearch as having the largest collection of online source documents and at the same time list it as a site needing addition digitization. Although there is a huge ongoing effort to digitize the holdings of the FHL, actually only very small percentage of the records have currently made their way online. For example, the Historical Record Collections contain around a 1000 collections but the Granite Vault contains 2.4 million rolls of microfilm. Even if every online collection represented 100 microfilm rolls (which they do not) the number left to be digitized would be enormous. If the FHL gets busy digitizing their book collection and making the books available online, all of the available books could end up online in the not too distant future. Various State and National Archives. I mentioned the Washington State Archive collection of online digitized documents, but only to highlight how far we have to go before even a significant percentage of the state and local documents are available online. The issue of state and local documents also highlights the problem of using access to government documents as a revenue source. Charging for copies of government documents is not new, but it has become a national policy in some countries. For example, England charges for copies of original vital record documents even those over 100 years old. See National Archives. The availability of digital copies of the holdings of major universities and public libraries is slowly changing. Most of the larger libraries have digital collections, but the vast majority of their holdings are still locked up in vaults and storage areas. Most libraries recognize the need to provide digital access, but we have a long way to go before most of the university libraries' offerings are online. One issue with availability in this area is the need to "belong" to the library either by being a student or teacher or by virtue of living in the library district. Universities tend to make their collections available to their own students but not to the public at large. I think you can see, even with this limited review, that we have a long way to go before we can claim that even most of the documents in the world are available online. This is a dynamic area of change however, and you should be aware of what is going on online to become aware of the resources available. Mesa turns out to be a lot cooler today with some clouds. We can go months without seeing rain, clouds aren't than uncommon. The Arizona Family History Expo seems very well attended. I taught a class on the FamilySearch Research Wiki in a large auditorium and nearly all the seats were filled. I am continually amazed. When I ask how many of the attendees know about the Research Wiki, I got about three or four hands. This is not a very good indication of market penetration. 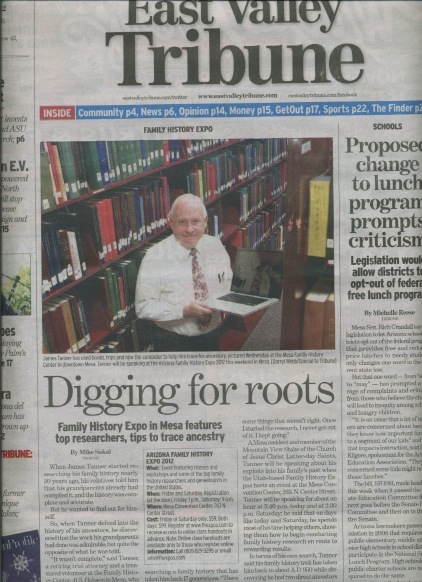 I think it gives a good indication of the breadth of genealogical resources online. We are not all chasing the same few sites, there are a huge number of sites to look at and use. FamilySearch has another website that languishes in obscurity. That is the TechTips site. From the comments made on the posts, I can only assume that this is an extremely valuable website, but the number of people who recognize the site name is even smaller than those who recognize the Research Wiki. It makes me wonder how many really obscure, but valuable, websites there are out there in the online world? Last evening, I participated in a panel discussion about genealogy and social media. I have found Google+ to be more focused than Facebook primarily because of the way the Google+ Circles allow you to easily select those with whom you wish to associate. I think that there is a place for both. The comments from audience were interesting in showing that a relatively small percentage of genealogists use Facebook regularly and even fewer were acquainted with Google+. One of the values of these genealogy conferences is giving a large group of genealogists the opportunity to at least hear about all the changes and new resources appearing on the Internet. Presentation by Timothy G. Cross of FamilySearch entitled FamilySearch Global Initiatives. FamilySearch is much more than a website. FamilySearch is more than 1000 people with expetise involved in History, Area Studies and Languages, Archival and Library Science, Micrographics and Digital Imaging, Computer Technology. FamilySearch is involved in obtaining copies of existing genealogically significant records, it is also the organization responsible for storing, cataloging and conserving those records through the Family History Library and the online FamilySearch.org websites. FamilySearch is also over 4600 Family History Centers around the world. FamilySearch is over 200 digital cameras in over 40 countries of the world, constantly digitizing records. It is a non-profit corporation and all of its resources are free to the public. Despite some common misconceptions, FamilySearch is not affiliated with or part of Ancestry.com. FamilySearch was formerly known as the Genealogical Society of Utah and is wholly owned and operated by The Church of Jesus Christ of Latter-day Saints. There is also a separate corporation called FamilySearch, International. Online access to the world's records starts with negotiation with the record repositories. Then FamilySearch provides the image capture of the records. The records are then digitally converted into a format that can be stored by the computer and cataloged. The next concern is the preservation of the records and the indexing of the records. Then the access to the records is provided online. Provide a way that everyone can do their family history. Everybody has a right to have their story told. I read a lot of blogs and surprisingly not all of them are about genealogy. In light of the controversy that went on last week with the bills before the U.S. Congress, I was interested to read a blog post from a group of Physicists. If you ever want to confirm and at the same time deny your preconceived notions of what Physicists talk about then read The Eternal Universe. The blog post that caught my eye is called, "On Barbed Wire Fences and Internet Freedom" from Quantumleap42. The writer of the post compares the present situation on the Internet with the fencing of the American West back in the 1800s. In my opinion the analogy works on a lot of different levels. But one distinction between the fencing of the West and the Internet is the issue of ownership. In settling the American frontier, the pioneers aided by the U.S. Government used the fiction that no one owned or claimed the land. It was convenient for all of the parties to believe in this fiction except the original inhabitants. In reality, the various Indian tribes had legitimate claims to the entire country. Except for the present reservation system, those claims were mostly ignored. So who are the Indians of the Internet? Well, in fact, this is why the analogy doesn't exactly work. The American frontier was only a frontier if you were a European immigrant. Under the frontier fiction, the U.S. Government could sell or give land to anyone. This was done by dispossessing (or killing) the Indians. But there is an important principle here. The Internet is not really a frontier and it is fundamentally not free. In every case, every person who connects to the Internet either pays for the privilege or uses the Internet paid for by another person or entity. Yes, I can go down to my local public library and use the Internet for "free" but only because of the taxes paid by those who pay taxes to the city. It is this fundamental commercial aspect of the Internet that undermines both the analogy of a frontier and the claims that the Internet should be "free." He who pays the piper, calls the tune. How do you (or anyone) get around the issue of ownership? So the battle over Internet Freedom is not taking place on some free frontier, not even one where the original "owners" have been dispossessed, but the battle is taking place in the backyard and front yards of the owners of the various networks that make up the Internet. If you have a server on the Internet then you are part of the battlefield. So what of the claim to freedom of the Internet? The claim flies in the face of history. The original basis for the Internet was far from free, it was the U.S. Federal Government's ARPANET or Advanced Research Projects Agency Network. The freedom of the Internet is ultimately based on the fundamental freedoms of speech, right of assembly and the recognition of these individual freedoms in the context of a vast communications network. If I own a server on the Internet, there is nothing compelling me to maintain my connection or to continuing to offer access to the Internet or to maintain the information I may have stored in my system. This is the weak link in the issue of Internet Freedom. In addition, the communication hardware and network that maintains the Internet links are more or less regulated by the local governments. There are whole layers of laws that affect the use of the Internet, from copyright issues to the regulation of the Internet's content. In the extreme, the Internet is the platform for illegal activities of many types. Do those who advocate various levels of control or a lack of control understand the serious issues of individual, national and world security faced by having an open frontier on the Internet? The issues involving so-called "freedom" of communication are far from simplistic. They are some of the most complex issues facing mankind in this digital age. Are those who advocate Internet freedom wanting to abdicate any responsibility to those who pay for their access or those who would be harmed by the misuse of the media? Allowing special interests such as those advocating bills in the U.S. Senate and House of Representatives decide these issues in their own self interest and at the expense of all the other competing interests in unwise and extremely shortsighted. 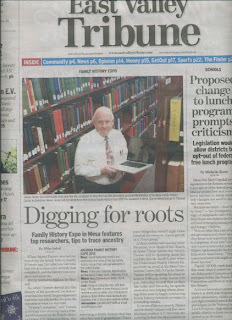 Off to watch Geoff Rasmussen of Legacy Family Tree talk about Digital Images for Genealogists and Technologists. These conferences are a good time to catch up on the news from all of the vendors here at the show. I enjoyed touching base with Bruce Buzbee of RootsMagic.com about their Family Reunion Organizer program. I got an update from the scanning team here from FamilySearch.org. They are digitizing attendee's family history books. They have a slick setup with a very sophisticated book scanner. I also talked to Janet Hovorka aka The Chart Chick. She also has a fast growing online genealogy printing company called Family Chart Masters. I enjoyed talking to Lisa Louise Cooke of Genealogy Gems Podcasts. A lot of the people here in Mesa will also be at the RootsTech.org conference in just about two weeks. Always something new to me to learn at a genealogy conference. Here we are at the Expo in lovely Mesa, Arizona. The weather is beautiful. Now the latest. As I suspected the change in the catalog for FamilySearch.org Books, presages finally getting the books online. Here is the URL to the Beta search site. This will be the new site with a super fast search of the 30,000 or so available books. Watch as this site becomes the main search site on the FamilySearch.org website. This is my month for Conferences and Expos. I started off with a Webinar with Geoff Rasmussen's Webinar for Legacy Family Tree. By the way, the recording of the Webinar is available from Legacy's archive of past Webinars. Then I taught a very interested Genealogy Club at Sunland Springs Village in East Mesa. There is a lot of enthusiasm in the smaller genealogical interest groups. Then it was off to Yuma for a very nice Family History Center Conference. This was a one day conference. I was impressed with the Center's organization and professionalism. They have been doing these conferences for many, many years and still have the interest and help from a lot of volunteers to do a great job. Yuma is about three hours away and my wife and I went down the night before and stayed over and drove back to Mesa on Saturday after the Conference. It was back to Yuma for the first time Family History Expo. Some of the same people came to the Expo that I met at the Family History Center Conference. You can't get enough instruction in genealogy. I enjoyed presentations by Arlene Eakle Ph.D and by my friend, Leland Meitzler. I drove down with a friend from the Mesa Family History Center and we had a late night drive back to Mesa. Today, 20 January 2012, is the first day of the Arizona Family History Expo in Mesa. This will be the fourth year Family History Expos has been in Mesa. We are having beautiful weather with highs in the mid 70s and blue skies. I will try and get a couple of reports out during the Conference. I am presenting two classes. By the way, I ended up on the front page of the local East Valley Tribune with an article about the Family History Expo and genealogy in general. In the electronic world, noise is defined as unwanted disturbances superposed on a useful signal that tend to obscure its information content. Wikipedia:Electronics Genealogical noise is exactly the same thing; unwanted disturbances superimposed on useful information that tends to obscure the useful content. The more contact you have with the Internet, the more likely you are to see noise. The trick is being able to separate the noise from the useful information in an efficient way. Let me give some examples. Facebook is a prime example of genealogical noise. The anecdotal evidence would lead you to believe that Facebook is a valuable genealogical resource. It well may be and my own personal experience would lead me to believe that it is, but it is a very noisy resource. It is very difficult to go on to Facebook without being distracted by the stream of messages from family and Facebook "friends." Hence, the amount of noise is excessive. It is also relatively difficult to separate out the valuable genealogical information from the unwanted or even misleading information. It is best considered a medium of communication rather than a source. Despite the noise, a Facebook account can be helpful in finding and making contact with relatives. To some extent, Facebook also serves the function of a forum for answering genealogical questions, but the high noise content severely limits its ability to function effectively. The main advantage of Facebook is its nearly universal reach. How do you deal with noise on Facebook? Unfortunately it is a matter of self control. I say unfortunately, because the noise (distractions) seem valuable in themselves even though they have no genealogical content. One problem is that an overly expansive view of genealogy would include all inter-familial communications as part of your "genealogy." Personally, I avoid using Facebook to communicate with my children. I do that directly by email or telephone or video conference. The noise level on Facebook is just too high for me. Reader is another source of genealogical noise. It seems like I add another blog or website regularly and tonight I came home to 93 posts. Almost my limit. Fortunately, Google Reader doesn't rise to the level of distraction of Facebook. Mainly, because I can pick and choose what is listed and skip anything that doesn't seem relevant. I do need to go through it periodically and weed out the excess blogs that have gone dormant or are no longer offering relevant information. That automatically cuts down on the noise. Even Google, as a search engine, generates its own level of noise. There always seems to be something more to look at. Every once and while, I get distracted by the news of the world and get wrapped up in some story or another. I am not sure I would classify that as noise, unless you count the multitude of channels going on in my head all the time as noise. Here's the deal, I think we all need to analyze what is and what is not noise in our surroundings. Maybe we have some habits, like reading the morning newspaper, that are really just noise. But I suggest that we all, (I am really writing about myself) need to filter out more of the noise and keep focused on the tasks at hand. U. S. works to preexisting works from Berne member countries. Section 514 of the Uruguay Round Agreements Act (URAA) grants copyright protection to works protected in their country of origin, but lacking protection in the United States for any of three reasons: The United States did not protect works from the country of origin at the time of publication; the United States did not protect sound recordings fixed before 1972; or the author had not complied with certain U. S. statutory formalities. Works encompassed by §514 are granted the protection they would have enjoyed had the United States maintained copyright relations with the author’s country or removed formalities incompatible with Berne. As a consequence of the barriers to U. S. copyright protection prior to §514’s enactment, foreign works “restored” to protection by the measure had entered the public domain in this country. To cushion the impact of their placement in protected status, §514 provides ameliorating accommodations for parties who had exploited affected works before the URAA was enacted. What does this mean in English? It means that to determine whether or not a work is in the public domain, you will have to look to the copyright protection of the work in the country of origin. Many works now in the public domain in the U.S. will actually be protected by copyright. This makes the task of determining what is and what is not protected by copyright even more difficult. Especially, if you are not aware of the country of origin of the work. As noted above, there are 164 member countries. In my opinion, on its face, this ruling cannot apply to works created in the U.S. It will not resurrect out of copyright works originating in the U.S.
How does it affect genealogists? The digital reproduction of any work of foreign origin from one of the 164 Berne Convention signers, will have to be evaluated in terms of the copyright restrictions of the country of origin. There are likely other far reaching unanticipated consequences. For further information see Circular 38B of the U.S. Copyright Office, Highlights of the Copyright Amendments contained in the URAA. I took the time to read everything from the Harvard Business Review to the Los Angeles Times news releases on the subject of the SOPA and PIPA bills now before Congress. I am opposed to both SOPA and PIPA. It is a warm and sunny day in Yuma, which is the rule rather than the exception. Yuma has two seasons warm and sunny and hot and sunny. But it is preferable to have warm rather than hot. We are here in the Pivot Point Convention Center part of the Hilton Garden Inn. It is a newer looking hotel and convention center, right next to the Yuma Crossing State Historical Area. Historically speaking, Yuma happens to be the only place in a 1000 miles that travelers could cross the Colorado River. As a result, all of the historic trails including, but not limited to, the DeAnza Trail, the Butterfield Overland Stage Trail, the Mormon Battalion Trail, and a few others. You can see from the picture what it looks like here. This picture was taken about 200 yards from where I am sitting and writing. We have people from the surrounding area as well as the Yuma Family History Center and the Yuma Genealogical Society here and a good group of vendors, including Leiland Meitzler and his Family Roots Publishing Co. The Keynote Speaker is Arlene Eakle, Ph.D. President and founder of the Genealogical Institute, Inc. This is the first year for Family History Expos to be here in Yuma. This is a single day conference and I will be driving back to Mesa tonight after the Conference. Later this week, I will be at the Arizona (Mesa) Family History Expo. Yuma is a smaller city located in extreme southwest corner of Arizona, right on the border with California and Mexico. It is a haven for RVs and Retirees, especially in the Winter. It is also the site of the Yuma Family History Expo, a first for this venue. Holly Hansen of the Family History Expos traditionally puts on a really good conference. We will also be having the Expo in Mesa, this weekend Friday afternoon and Saturday. I will be driving down to Yuma tomorrow and will try to get some time to report during the conference. I will also be attending the conference on Friday and Saturday and will bring you all up to date with any of the latest happenings. See you in Yuma and Mesa. Well, I haven't really seen much of the profit part yet and you have to really stretch to call sitting at your computer all day and reading email, reader feeds and such, fun, but blogging is certainly interesting. I recall always wanting to write as I was growing up, but the physical mechanical skills were just beyond my ability. In short, handwriting was painful to me. I look back at the letters I wrote when I was much, much younger and they are pretty pitiful. There are a very few surviving letters that I typed on a manual typewriter and those are longer but since the typewriter was so slow, I really didn't say everything I had on my mind. Now, that brings up another topic. I had really good ideas inside my head, but they always seemed so uninteresting and mundane when put down on paper. My idea of a short story, for example, was about one page of writing. The watershed event in my life was getting a really fast personal computer. Even when I started out with personal computers, for the first few years, the machines were way too slow for my typing and thought process. It was only when the machines caught up with me and then passed me that I really began to write. One of the other things that happened was that I began to write a Journal in 1975. Writing a Journal is one of the best ways to start organizing your thinking processes and of learning how to say what you want to say. Like the old saying from Heber J. Grant, "That which we persist in doing becomes easy to do. Not that the nature of the thing has changed, but the power to do has increased." Of course, my progress was (and is) subjective. As with everything else, my Journal started out handwritten. But the quantity of the material I put in my Journal only started to grow when I finally changed over to writing on the computer. Over the years, as an attorney, I had to write, albeit in a very limited and restricted way, all day long, almost every day. Initially, like with every thing else, I would hand write everything, very painfully. Then I got into dictation. That was both good and bad. When I dictate, I have a tendency to repeat myself and leave out whole ideas. Even with the limitations, I primarily dictated everything to my legal assistant for years and years. What I wrote would sometimes go through three and four revisions. Slowly, as the computers got more powerful, I began to write more and more on the computer. Finally and for the last 10 years or so, I began typing everything myself. Don't worry my assistants got enough to do because the volume of my work increased exponentially. I partially attribute any success I finally had in the practice of law, to writing all of my own briefs and pleadings on the computer. That brings us to the Internet. I got involved in blogging because of a suggestion from one of my daughters about three or so years ago. Without going into the long details, I started on a dare. Initially, I tried about seven different blog topics. But gravitated very quickly to almost exclusively genealogy and photography as the two things I am most passionate about. The gratification in writing a blog comes from finding out that someone else actually reads what you write. Quantity is not always quality, but you have to start with the quantity to get to the quality. Through this genealogy blog, I got surprise invitations to be a blogger at some of the conferences, notably the Family History Expos and last year's RootsTech. I am not really comfortable with self-promotion, but having an audience helped to get me motivated to try some new things. I think everyone who writes can see the evolution of their writing style and content as their interests change and as they get feedback from readers. As a professional advocate, I can be very, very argumentative and direct. You might not believe this, but most of my blog writing is toned down considerably. When I was an associate attorney, one of the main law partners asked my to come with him to a meeting. On the way to the meeting he filled me in with the facts and then told me what he would like to accomplish. When we got to meeting there were about eight or ten people there and it was a negotiation about a potential lawsuit, trying to avoid litigation. I sat there and argued and made points and talked for about two hours. Finally, everyone stood up and left the meeting. Our client was at the meeting and as we were walking out, my firm's law partner, who had brought me to the meeting commented to the client, "I hope you don't mind me bringing James to the meeting, I knew that if I brought him he would keep coming up with arguments until we quit the meeting, and that's what we needed." So, this week I will be back at the Conferences blogging away. Stay tuned for the Yuma Family History Expo and the Arizona Family History Expo. Also, looking forward to RootsTech. Warning, this is another of Tanner's tirades and those with contrary opinions probably should be ready to disagree. Many years before I got involved in family history and genealogy, our family had several bound surname books. I used to look up my own name from time to time and in the Tanner book, I couldn't help but notice the prominent Coat of Arms displayed in the front of the book. As I did my own research over the years, I came to realize that my Tanner ancestors' line went back to the 1600s in Rhode Island (my last post discusses this issue in length). No one in the family has yet found an English connection to the immigrant. So where did this "Coat of Arms" come from? It was "borrowed" from a family with the same surname. The particular Coat of Arms in the Tanner book was not very attractive and I couldn't imagine wanting that hanging around in my house or wearing it on a T-shirt. So, are all the people with a certain surname entitled to display and claim ownership to a Coat of Arms? What is a Coat of Arms anyway? Why would I want one? My family goes back 400 years or more on the American continent, why would I care whether my 500 year old ancestors were entitled to one or not? Unfortunately, Coats of Arms are sort-of like pedigrees back to Adam, they are often claimed but they are hardly ever based on any kind of historically accurate fact or information. The difference is that there is a remote possibility that you or your family may be entitled to a Coat of Arms, but there is no possibility of finding an accurate lineage back to Adam. There are literally dozens, maybe hundreds, of websites more than willing to "research your Coat of Arms" or simply provide you with one for a fee. The come-on is sometimes "Free coat of arms research if we haven't got your personal coat of arms on record." Why would I want to pay them to do research, I already have a Coat of Arms! What you find out about Coats of Arms depends on whether you want on or not and whether the source of your information wants to sell you one. This whole inquiry started out because one of my friends ran up to me to tell me that her husband was the recipient of a Coat of Arms and didn't I think that was neat? I didn't say anything. Discretion is the better part of valor. A coat of arms is a unique heraldic design on a shield or escutcheon or on a surcoat or tabard used to cover and protect armour and to identify the wearer. Thus the term is often stated as "coat-armour", because it was anciently displayed on the front of a coat of cloth. The coat of arms on an escutcheon forms the central element of the full heraldic achievement which consists of shield, supporters, crest and motto. The design is a symbol unique to an individual person, and to his family, corporation, or state. Such displays are commonly called armorial bearings, armorial devices, heraldic devices, or simply armorials or arms. In the heraldic traditions of England and Scotland an individual, rather than a family, had a coat of arms. In those traditions coats of arms are legal property transmitted from father to son; wives and daughters could also bear arms modified to indicate their relation to the current holder of the arms. Undifferenced arms are used only by one person at any given time. Other descendants of the original bearer could bear the ancestral arms only with some difference: usually a color change or the addition of a distinguishing charge. One such charge is the label, which in British usage (outside the Royal Family) is now always the mark of an heir apparent or (in Scotland) an heir presumptive. Because of their importance in identification, particularly in seals on legal documents, the use of arms was strictly regulated; few countries continue in this today. This has been carried out by heralds and the study of coats of arms is therefore called "heraldry". Some other traditions (e.g., Polish heraldry) are less restrictive — allowing, for example, all members of a dynastic house or family to use the same arms, although one or more elements may be reserved to the head of the house. The key here is that the right to own or display the Coat of Arms was hereditary but not to the family generally, but only to a specific individual with some exceptions on an international basis. In Scotland, the Lord Lyon King of Arms has criminal jurisdiction to enforce the laws of arms. In England, Northern Ireland and Wales the use of arms is a matter of civil law and regulated from the College of Arms and the Court of Chivalry. OK, enough Wikipedia and history. The simple answer is that no one is "entitled" to use a Coat of Arms simply by virtue of having the same of similar surname. The Coats of Arms do not belong to the surname, they belong to individuals who acquire the right to use the symbol by inheritance. Hence the relationship between genealogy and the sale of Coats of Arms. There will be those who are quick to say, but isn't have a Coat of Arms basically harmless and by the way, doesn't it help some more people get interested in genealogy? The answer is of course yes. If you would like to read an interesting account of obtaining a legitimate Coat of Arms see Acquiring a Real Coat of Arms. The short answer is that if you can prove that you have one ancestor (male or female) who came from England, Wales, Scotland or Ireland, you probably are eligible to apply. A very high proportion of Americans qualify on this basis, including over 70 percent of African-Americans who have some English ancestry. Not very exclusive and not very meaningful. Depending on the geographic area, the type of jurisdiction and the time period in question, you will eventually get to the point where you cannot go any further in your research. I like to say that there are always more places to look and more records, but when you reach the steep curve of time, resources, and availability, you have to evaluate whether your efforts will ultimately prove successful. My point of evaluation deals with an English-born immigrant who arrived in Rhode Island sometime before 1680. The earliest European settlers in Rhode Island arrived in the mid-1630s. My ancestor's name was William Tanner. He first appears as a witness of a disclaimer deed signed 12 May 1682. [Arnold, James N. Editor of the Narrangansett Historical Register, Compiler, The Records of the Proprietors of Narrangansett. Otherwise Called the Fones Record, Rhode Island Colonial Gleanings, n.d. Pages 79 and 108.] Assuming he was, at least, twenty-one years old at the time the will was made, he could have been born before 1660 and supposedly died after 1735. I say supposedly because I believe that the traditional genealogies have skipped a generation and may have omitted a son, also named William Tanner. Randal Holden's name is consistently misspelled as "Holding" or "Houlding." Tanner, George C. William Tanner, Sr. of South Kingstown, Rhode Island and His Descendants: In Four Parts. Faribault, Minn: G.C. Tanner, 1910. However, there is also an earlier book by the same author in 1905. 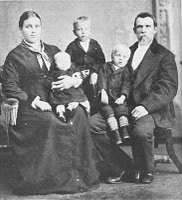 Tanner, George C. William Tanner of North Kingstown, Rhode Island, and His Descendants. [Minneapolis, Minn.]: Pub. by the author, 1905. Although there are several additional books that purport to address William Tanner and his descendants, all of the subsequent books are more or less a repetition of the claims made in the 1910 book. If you want to see real confusion, all you have to do is look at various user submitted family trees online concerning William Tanner and his immediate family and descendants. But recourse to the supposed original records leaves just as much confusion. In response to the cloud of uncertainty that exists about this individual, I have spent a considerable time at the Family History Library in Salt Lake City examining literally every book on the shelves about Rhode Island and looking at every single microfilm that could have any information about him or his family. It will still be necessary to research the records that I know are kept in various repositories in the state of Rhode Island. So far, I have found at least four different wives listed for "William Tanner" in the same time period and various children from two of the four possible marriages. This leads me to speculate that there may be more than one William Tanner in Rhode Island during this time period. A search of the early immigrant passenger lists shows only one individual with the name of William Tanner who came to America in the corresponding time period. Although in the published books there is only a reference to “William Tanner” as a witness on the disclaimer deed signed 12 May 1682, later that same year, a second deed was also signed and witnessed by William Tanner. In both cases, William Tanner acts as a witness to the signature of Frances Houlding, the wife of Randall Houlding in making a disclaimer deed to her husband’s transfer of property. The real property, for both deeds, was located in “warrick” described as in “Narrangansett countrey” and included “Fox Island.” Fox Island is located in Narragansett Bay. Examination of the original record verifies the entry for both deeds. It is interesting that this same Randal Holden appears in Rhode Island history as a friend and supporter of Samuel Gorton, who, in the fall of 1643, with some of his supporters, barricaded themselves in a house in Massachusetts and held local soldiers at bay for two days, in an attempt to avoid imprisonment for “vituperative and blasphemous behavior.” Gorton’s crimes included truculence toward authority and lack of respect for the colony’s judges. Gorton joined Roger Williams, Anne Hutchinson and other free thinkers in Rhode Island. William Tanner’s association with these notorious radicals as well as his residence in Rhode Island, known for its nonconformity to the rest of New England, may reflect his own views. Subsequent references to William Tanner by the Reverend Tanner locate him in Westerly, Rhode Island, and specifically, in the town of Hopkinton, which was formerly part of Westerly. Based on this scant documentary evidence, each of the published sources date William Tanner’s birth to approximately 1660 in England. 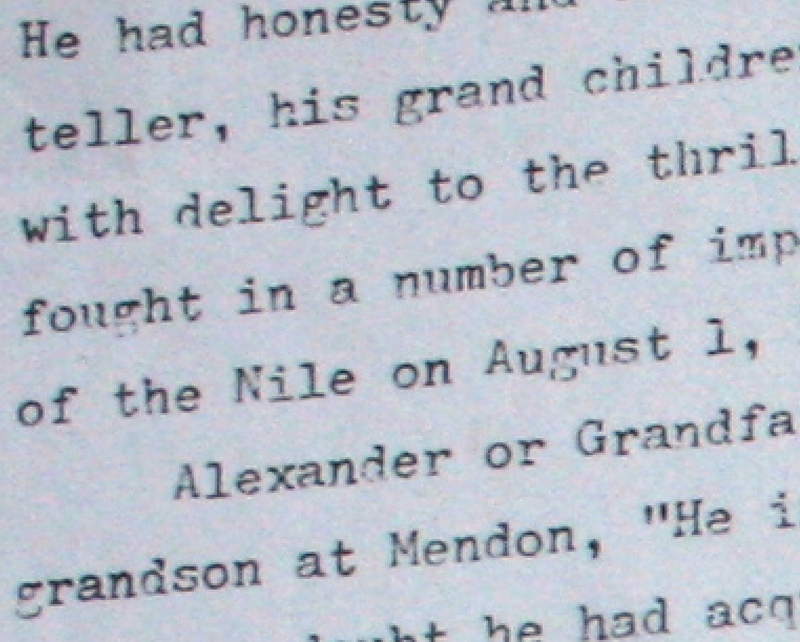 This conclusion concerning William Tanner’s birth is not attributed to any recorded source. An extensive search of the early birth records for Rhode Island fails to show any reference to a “Tanner” born before 1709. The lack of any previous references may argue for the English birth of William Tanner. However, there seems no support for the supposition that his birth occurred in 1660, other than the most nebulous guess that he was at least twenty-one years of age at the time he witnessed the deed. Even if the evidence is accepted to support a birth in 1660, he may have been born elsewhere in America and moved to Rhode Island. 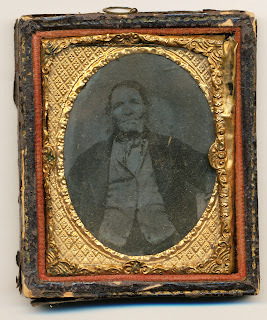 Although a search of the comprehensive listing of all New England immigrants does not show a reference to any other immigrant named William Tanner during the critical time period. Reverend George C. Tanner quotes from the “Early history of Narragansett” by Judge E. R. Potter, p. 226 concerning a land purchase by William Tanner in Westerly, Rhode Island. The land contains a Tanner cemetery and the cemetery records show a grave marker for “WT” and two other markers for “ET” and “MT.” It could be supposed that these are the graves of William Tanner and his two wives, Eliazbeth Cotrill Tanner and Mary Babcock Tanner. A subsequent search of the early land records shows the deed from Henry Hall to William Tanner establishing the land conveyance. There is a second deed from William Tanner and his wife Elizabeth Tanner to his son Benjamin Tanner dated March 3, 1723/4 establishing the name of, at least, one of his wives. I visited the site of the graves in Rhode Island, but the weathering of the stones had made all by the one marked MT unreadable. none of the individuals named “William Tanner” either arrived in America early enough to have witnessed the disclaimer deed or have the destination of their immigration in an area that would make their residence in Rhode Island likely. The lack of contradicting evidence would argue for the conclusion that this particular William Tanner was the one signing the deed in 1882 and that he emigrated from England in 1680. Opening New FamilySearch to the Public?